Forty-one productions opened on Broadway during the 2011-2012 season (i.e., April 29 - through April 26) according to a quick IBDB search - 14 musicals, 24 plays, and 3 specials/concerts. Earlier today, the Tony Award nominations were announced. 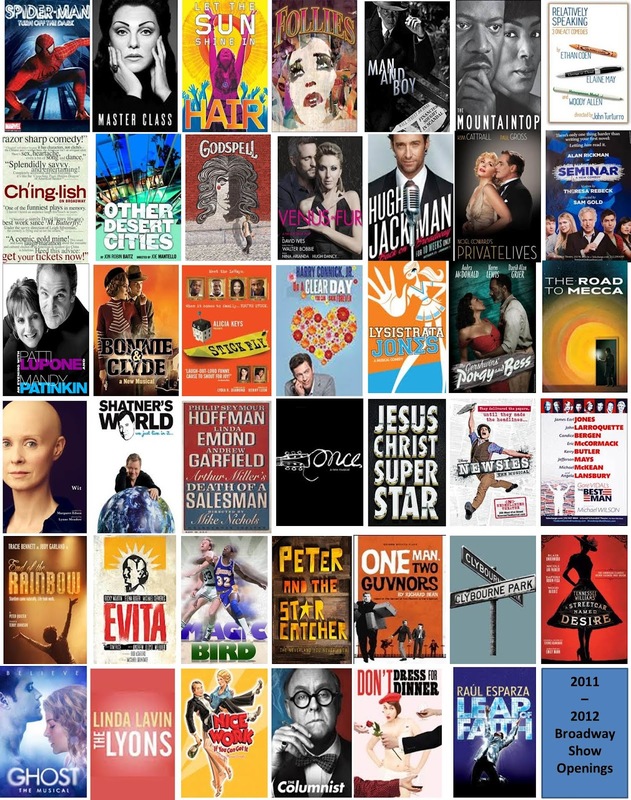 Excluding specials/concerts and 30 of the 38 productions or roughly 80% were recognized in one shape or the other. Once, The Gershwins' Porgy and Bess, Nice Work if You Can, and Peter and the Starcatcher lead the pack. Excluding solo shows and specials, the following received no recognition whatsoever.